I have been waiting almost an entire year to share this recipe. I first created and served it last year as part of our Easter dinner menu and have made it several times since. It is wonderful side salad to a meal, but it can certainly turn into a meal itself with the addition of sliced chicken or pork. Other than the delicious flavor, what I love most about this salad is that it sneaks a somewhat underappreciated vegetable into my son's diet. My girls adore beets, but my son-- not so much (o.k. not at all). However, when I serve him beets in this form along with mixed greens, creamy goat cheese, tart apple, and salty pistachios, he happily cleans his plate. 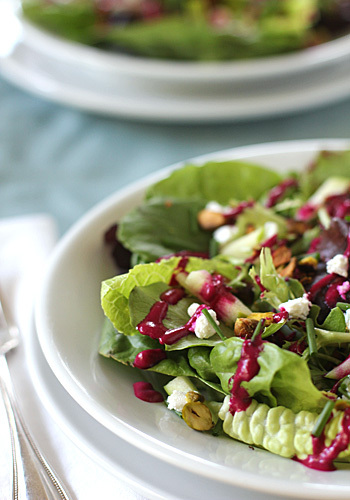 The base of the vinaigrette comes from roasted beets. So, when I roast beets for a Sunday dinner, I usually roast a few more to have on hand for this salad for weekday lunches or a weeknight dinner option. 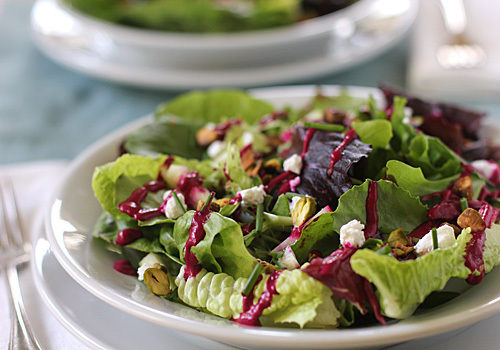 The vinaigrette is the star of the overall recipe, but like many composed salads, the recipe itself is more of a guideline. Use as much or as little of the ingredients as you like and feel free to change to ingredients to suit your own taste or your seasonal mood. This combination of cheese, fruit, and nuts paired with the vinaigrette is a favorite just about any time of year, but in the Fall, gorgonzola, pears, and walnuts is also a tasty composition of flavors. As I have said many times before, make it for you, make it your own. 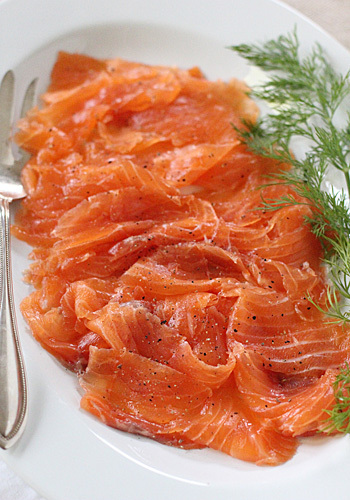 One normally associates gravlax with formal cocktail parties and elegant brunches without the thought of DIY. 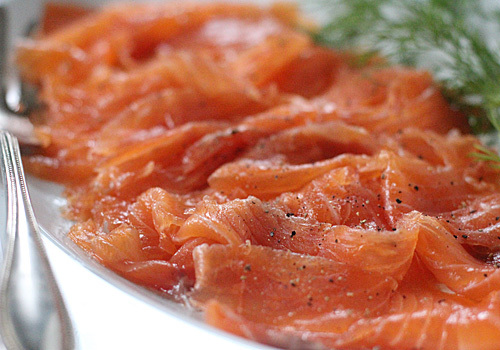 But think of the satisfaction of curing your own great tasting salmon at home. 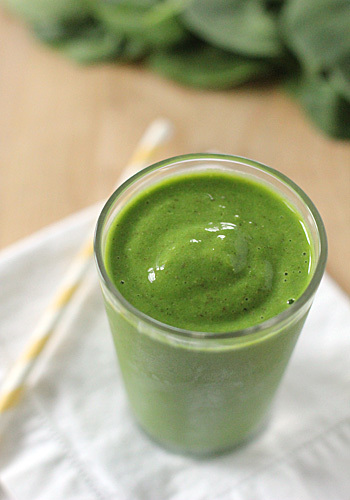 It's really easy to make in your own kitchen and no cooking is required. 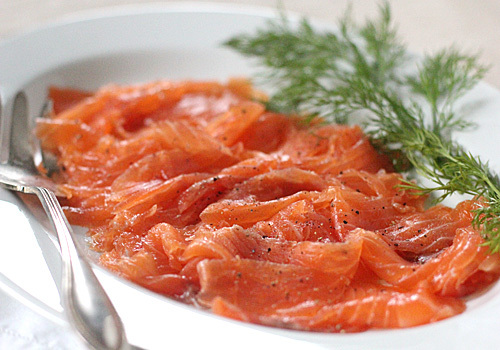 A few days of advance prep work, the freshest salmon you can find, and a few other pantry staples will deliver a batch of gravlax with a nice, clean flavor devoid of that, er, fishy essence that store bought lax can't quite seem to shake. 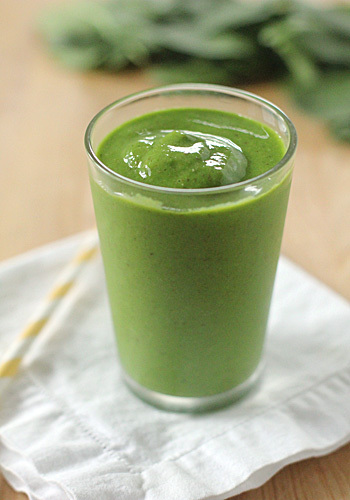 On top of the great flavor and "did it yourself" satisfaction is the fact that it's cheaper. 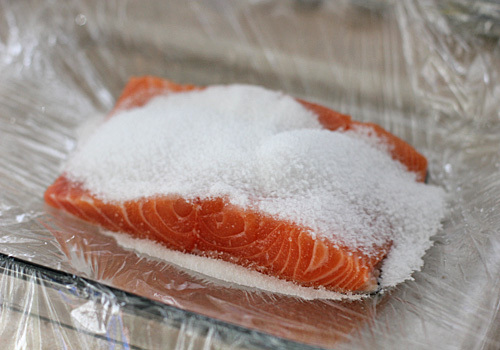 While salt is the primary curing agent, I also use equal amounts of sugar to balance the salt and to keep the salmon soft. Too much salt results in a tough, leathery cured flesh. I also use a bit of vodka to aid in the curing process. 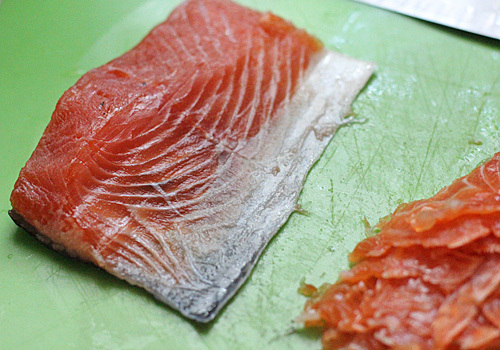 Once cured and sliced, the salmon slices become the perfect appetizer, brunch course, or cocktail nibble that can be garnished and paired with an infinite amount of trimmings and bases, like capers, red onion, radishes, herbs, lemon zest, blinis, potatoes, eggs, and our favorite way-- homemade bagels with cream cheese and fresh chives from the garden. I appreciate a visual process, so I have included a few step-by-steps to help you along the way. I always make the entire recipe even if it is just the five of us. We can easily go through one fillet for our Sunday brunch. The other fillet goes in the freezer for another time. 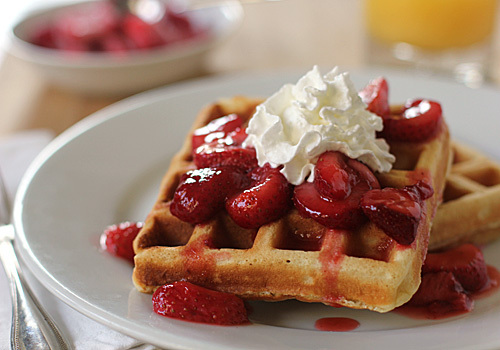 Thawed overnight in the refrigerator, it can be brought to life for brunch duties another time. In a small bowl, mix together the salt, sugar, and black pepper. Sprinkle half of the mixture over each fillet and rub it in with your fingers. Drizzle one tablespoon of vodka over each fillet. 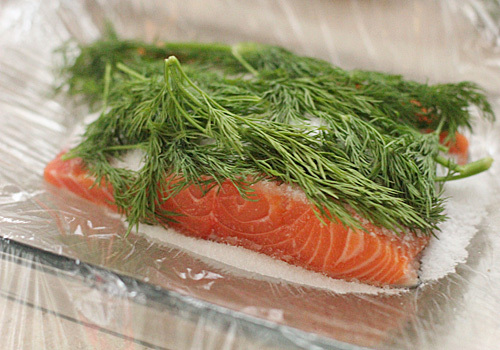 Spread the dill sprigs over one fillet. 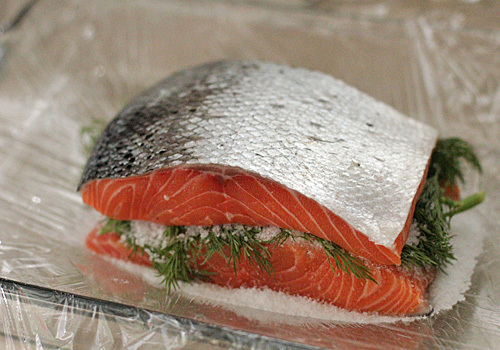 Lay the other fillet, flesh side down, on top of the dill-covered fillet. 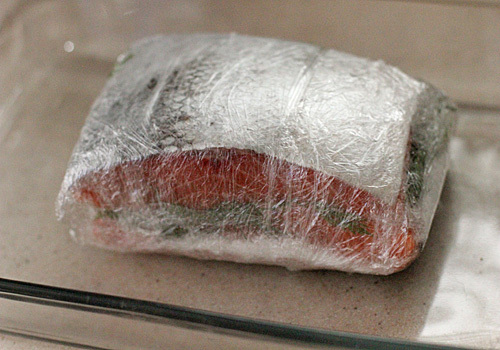 Tightly wrap the fillets in the plastic wrap. 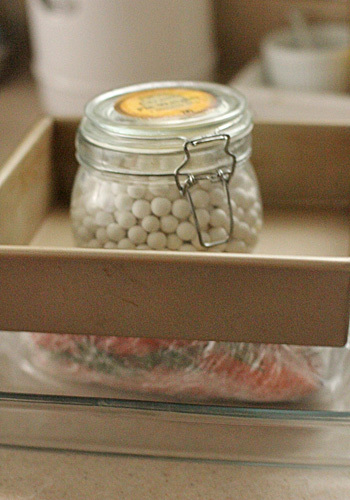 Place the salmon in a baking dish, top with another baking dish or plate and weight the top with cans or other heavy objects to compress the fish; refrigerate. 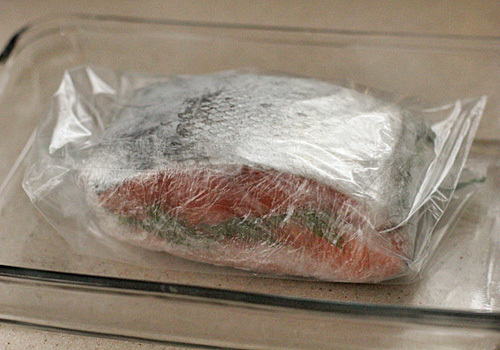 Twice a day, turn the salmon package over, replacing the weights. (A good deal of liquid will accumulate as the salmon cures). 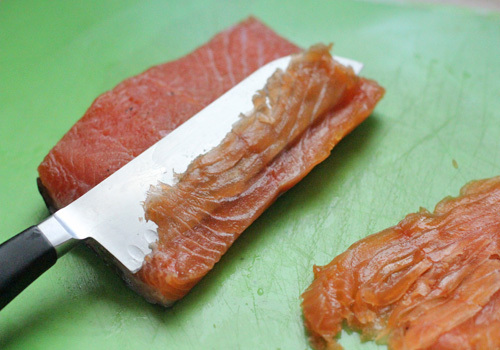 With a sharp knife held at a very flat angle, start slicing a few inches in from the end of the fillet with a back-and-forth sawing motion to remove a thin slice. When the blade reaches the skin, shave the slice off- don't cut through the skin. It has been seventeen long months since the only TV show I've ever planned around has been on the air. It also happens to present the exceedingly rare occasion for my husband and I to sit down and consume television that we both like, together. Mad Men is back (cue Ode to Joy). I am among the many who will be rejoicing in the end of its long hiatus. My husband got me into the show back around midway through season one. He was attracted to the sociology of the period, the marketing angle, and the well developed characters. I liked looking at Jon Hamm. Okay, that was the hook that got me into the show for all of the things that got my husband interested. For the return of this beloved series, I decided to pluck a few favorites from the past. Although the show has chronologically progressed to 1965 now, the early sixties were where the show was born. This is a twist on the classic shrimp cocktail. 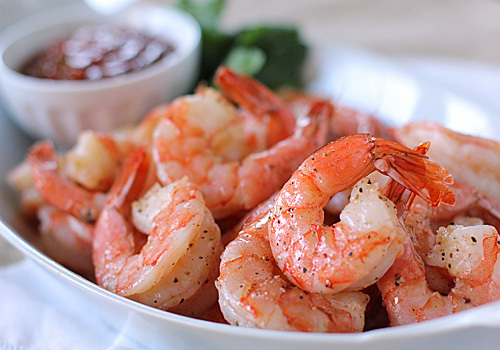 The shrimp are tossed with olive oil and garlic, then roasted at a high heat, sealing in the natural sweetness of the shrimp. It is a twenty-teens take on an old favorite. I make this salad dressing all year long, but this time of year when there is left over corned beef, I whip up a batch to use as a sandwich spread for weeknight Reuben sandwiches. 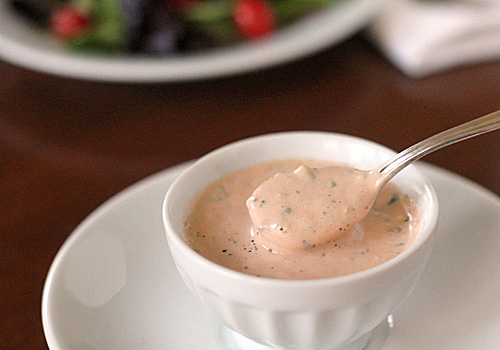 A close cousin to Russian dressing, Thousand Island can be used as a dressing for greens or a wedge of iceberg lettuce, as well as a tasty spread for sandwiches. I don't particularly care for gloppy mayonnaise based salad dressings, so I thin the dressing with a little bit of water before seasoning with salt and pepper. However, if I am going to use it as a condiment or sandwich spread, I leave it in its gloppy goodness. Here is one more nod to the recently passed holiday before we move on. I had it on our St. Patrick's Day menu last year and this year, but have yet to share it with most of you. For those of you I have shared it with via e-mail requests, please note changes (for the better) in the recipe. The original recipe, although good, was a bit too subdued and, frankly, plain for my taste buds as well as a little on the dry side. To maximize flavor and texture, I added grated carrots for sweetness and scallions for a mild onion taste. Since it was on the dry side, I omitted the flour and was left with a delicate sauce with small pockets of custard from the eggs and half-and-half. But what really makes your fork go back for more? Lots more cheese. 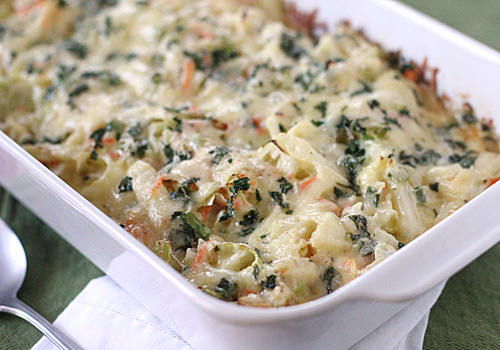 The deep flavors of the cheeses help to make this dish a second helping type of side. I know, I know... St. Patrick's Day was yesterday, but this is the Sunday closest to the holiday and I wanted to get my corned beef dinner fix ☺. I shared several of the recipes on the menu last year, so there are links to those above. The last few years, we have enjoyed this cake for our dessert, but the weather as been unseasonably warm and beautiful and I have been spending more time outdoors than in the kitchen. Having said that, I wanted to have a dessert that was quick to put together and of course it needed an Irish twist. 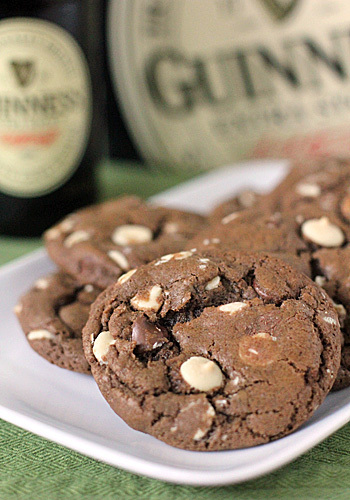 At first, putting stout in pudding might not seem like a good idea, but like these cookies, it works. 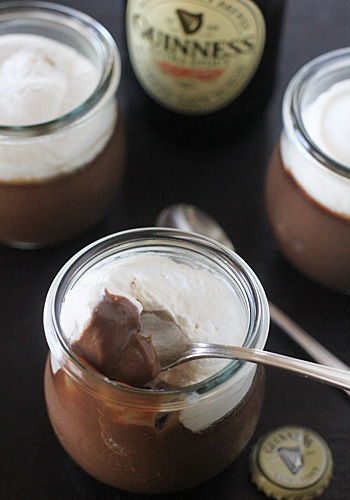 The stout lends a tasty mocha flavor to the chocolate pudding. I lightened up the original recipe, which called for 2 1/4 cups of heavy cream. 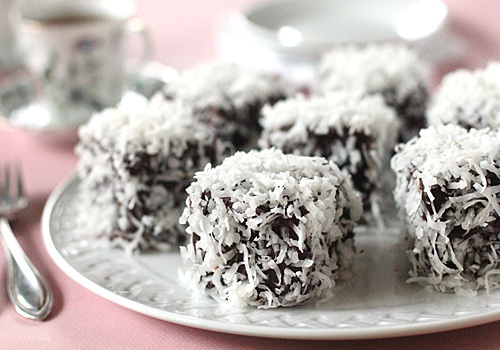 I used some half-and-half and a bit of cornstarch to keep a nice consistency and to cut the fat and calories. I also feel that a serving size of eight, rather than six, is plenty generous. Even with the lightened version, it is still rich and decadent. 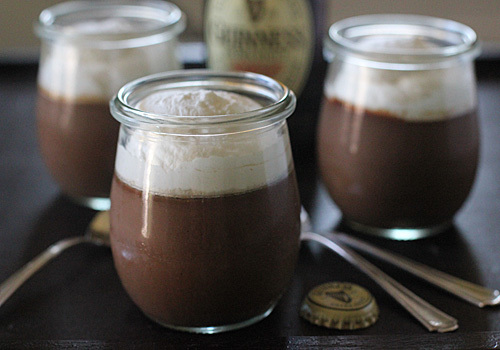 The original recipe also called for Guinness in the whipped topping, but I think a little Baileys Irish Cream in the whipped cream is nice. 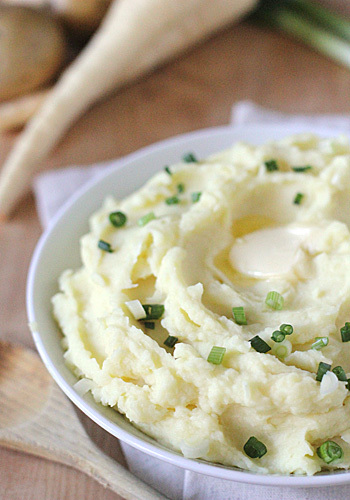 In my house, you can't serve meatloaf without a generous helping of mashed potatoes. 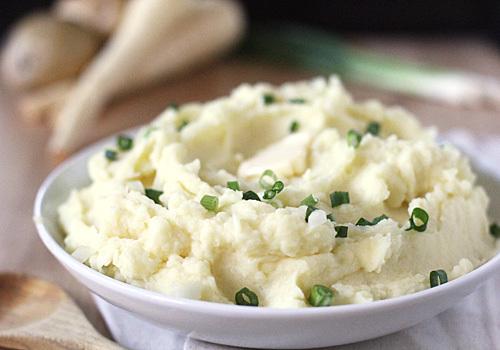 And since I put a spin on the meatloaf with the addition of lamb, Guinness, and Cheddar, why not tweak a standard mashed potato recipe for a good, comforting meal? I used a 4:1 ratio of potatoes to parsnips. I didn't want the parsnips to overpower the buttery taste of the potatoes, but I did want the sweetness of the parsnips to come through. Some half-and-half and butter are added for a creamy richness and some scallions are stirred in for a mild onion flavor. Top it off with an extra pat of butter if so inclined and dig in! This was a new dish on our dinner table this past week. I know it will make many more appearances in the years to come. 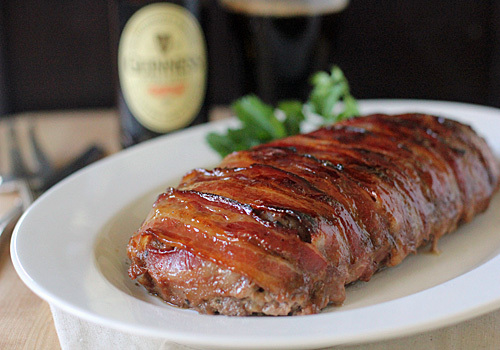 Lamb, Guinness, and a good Irish Cheddar, all wrapped in bacon and glazed with more Guinness, um....yum! Could there be a more perfect meal than that for St. Patrick's Day? 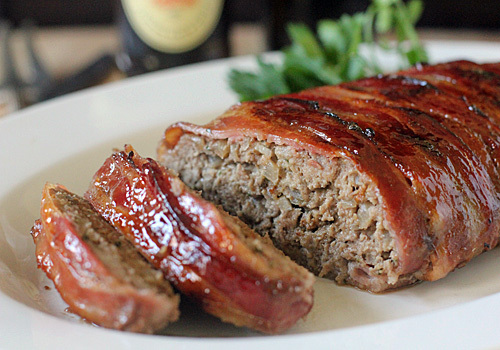 Possibly, but for know, I am going with this wonderful meatloaf recipe packed full of flavor. The original recipe called for a mixture of ground beef and lamb, but since this has an Irish twist with the addition of a stout beer and cheddar, I figured the lamb would be a good pairing. I omitted the celery and carrots because I do not care for a meatloaf packed with veggies. I like to keep it simple with lots of onions and a bit of garlic in order for the flavor of the meat to shine through. After all, this is a meatloaf, not a veggieloaf (save the vegetables for a side dish). I also like a tightly textured meatloaf when I slice into it. I drives me bonkers when I see a beautiful meatloaf that falls apart when cut, so I use the food processor to process the meat a bit further. 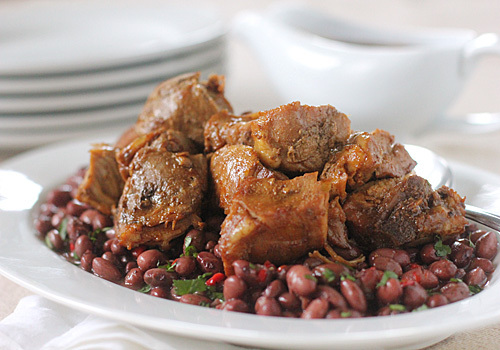 Fewer binders are needed and the end result is much more juicy and tender. Wrapping it in bacon adds flavor to an already tasty mixture. Also, I had a half bottle of Guiness Extra Stout left over from the reduction and I knew I could put it to a good use. Down the hatch was my first thought, but I resisted and decided to take a pointer from the Triple Chocolate Guinness Cookies and made a reduced syrup to glaze the top. Boy, oh boy! Is this ever good. There is sweetness from the glaze, smokiness from the bacon, and a deep, rich flavor from the meats and cheese. My middle child doesn't particularly care for lamb. After she asked for seconds, I let her in on the main ingredient. She was surprised. I believe her words were, "If all lamb tasted like this, I would eat it all the time." I wrote the recipe for one large loaf, but I actually made two. One for dinner and one for leftovers. Not just warmed up leftovers, but sandwiches made with toasted white bread, a good schmear of mayonnaise, and pickled red onions. I might make it again just for the sandwiches ☺! 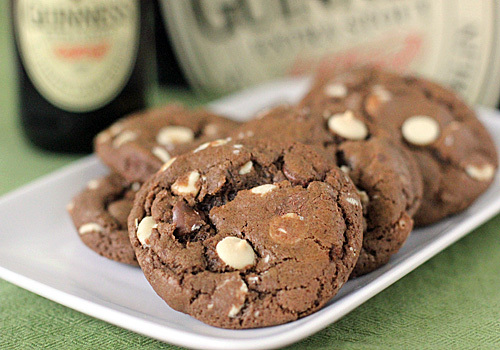 I have a few more Irish themed recipes to share before St. Patrick's Day. The first thing that comes to my mind when thinking of Irish cuisine is oats. I know, exciting, right? It probably has something to do with the box of McCann's Irish Oatmeal that I keep in the cupboard and use at least once a week. 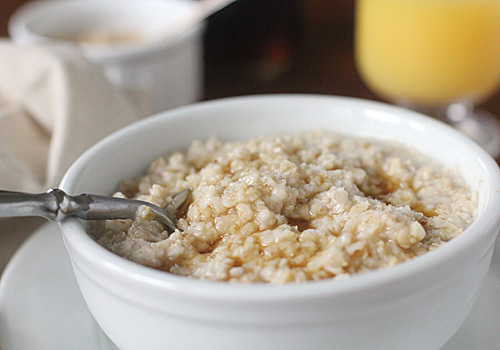 A recipe for oatmeal seems almost silly to share, because like deviled eggs for instance, many of us seem to wing it and use a little bit of this and a little bit of that. Having said that, I feel this is a pretty tasty recipe and certainly blog worthy enough to share with those of you who like and/or need to follow a recipe. You can use as much or as little maple syrup and brown sugar as you like. I generally go with the full 2 teaspoons of syrup and brown sugar, then top with toasted almonds and some chopped dried fruit, like apricots and cranberries for added texture and flavor. This simple recipe makes for a bowl of oats packed with flavor and energy for whatever you might need to tackle during the day. The health benefits of oatmeal are known to all as a cholesterol reducer and a great broom of the system (thanks D. F. Wallace). According to my calendar and not the weather (68° F yesterday in Chicago?!) it is March 8th. That means that the green holiday is just a little over a week away. Although I do have a little Irish in my blood, I don't get caught up in the revelry of tossing back one too many and chanting Erin Go Bragh. I do, however, whole heartedly take part in the culinary traditions, like corned beef (I know, Americanized Irish), potatoes, cabbage, and... o.k. maybe a Guinness or two. 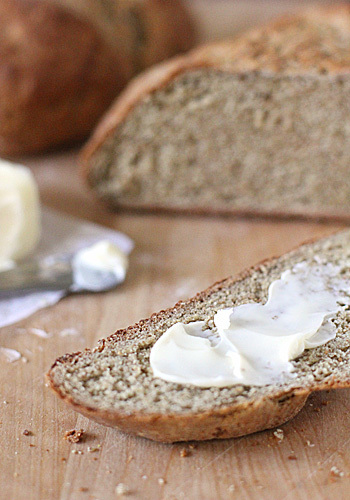 Soda bread-- it seems everyone has a favorite recipe. Some are enriched with butter and eggs, some are flavored with added currants, raisins, or caraway seeds, and others (like mine) have none of the above. They all share in common the traditional leaving agents of baking soda and buttermilk; no yeast in this bread. 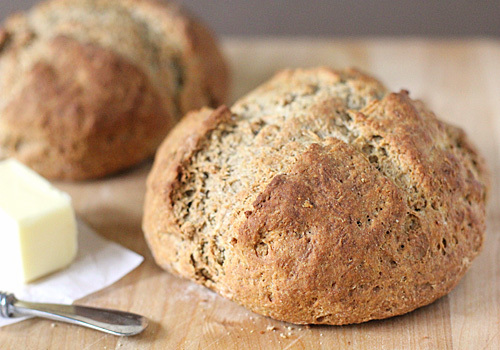 Made with part whole wheat flour, part all-purpose flour, a bit of brown sugar for sweetness and the leavening agents mentioned above, this soda bread is quick and simple and has plenty of good flavor. In fact, this bread is so simple that my children (many years ago at a kids cooking class) made this recipe before I did. Enjoyed fresh and warm from the oven that day, I was excited to have the recipe to take home. My additions of a little salt and a brushing of melted butter further enhance the wonderful taste of the bread and crunchy texture of the crust. Soda bread does dry out rather quickly, so it is best served the day that it is made. I like to make a batch just before dinner to serve warm with a slathering of butter to accompany a soup or stew. The next morning a few slices make their way into the toaster for a little more butter and a bit of jam. Bread for dinner and toast for breakfast-- mmm! Normally, I would have saved this recipe to feature for a future Sunday Dinner, but after the first bite, I knew I needed to share it right away. Four ingredients brought together with the right technique can provide a side that will surely be dug into for seconds. The golden, crunchy crust gives way to the tender layers inside lending a pleasing texture to the tasty proceedings. 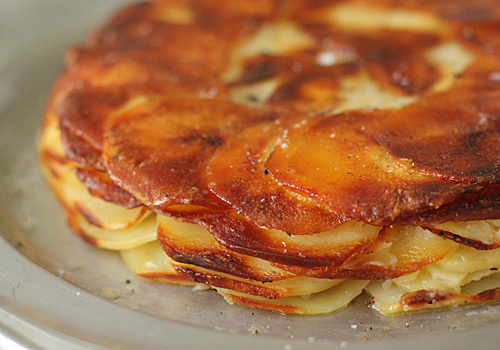 Try this method the next time you need a potato side. 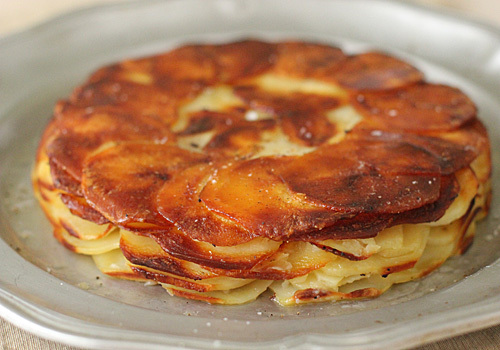 It is a nice tweak on the scalloped potato/hash brown standards that you will be sure to bookmark. After a week of the blahs, I knew I wanted some comfort food for Sunday dinner. For me, that is roast chicken, potatoes, and something chocolate for dessert-- my three favorite food groups. Consisting of three layers of chocolate, this dessert will surely satisfy any chocolate craving. 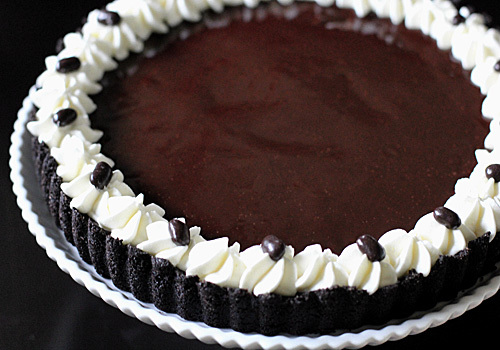 The crust is made from chocolate cookie wafers. 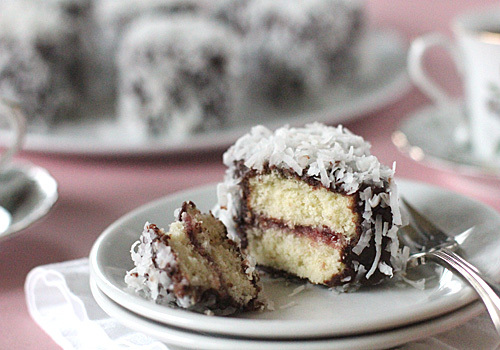 The truffle-like filling is rich and creamy, but not too to heavy. The shiny chocolate glaze then pushes the whole package into chocolate heaven. 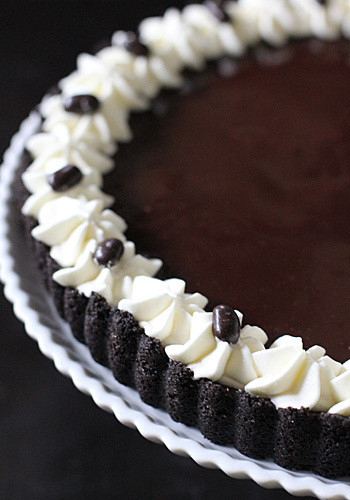 I added espresso powder to the filling to enhance the chocolate flavor. Keeping with the chocolate/coffee combination, I added Kahlúa to the chocolate glaze in lieu of water. Piped whipped cream rosettes and chocolate covered coffee beans make for a pretty presentation.